75 of the Best Summer Jobs for Teens. Totally not joking! - JobCompass - Find Your Best Job! 75 of the Best Summer Jobs for Teens. Totally not joking! Cold winter days are finally behind us. The sweet smell of spring is in the air, and life couldn’t be looking much better right now! Before long, school will be ending, and summer break will be upon us. While many kiddos are looking forward to the pool parties, picnics on the beach, cookouts, and campfires, there is one age group that may (or may not) have something else to look forward to. Teenagers and jobs! Pending how you look at it, a job can be miserable, when you are trapped inside on those gorgeous summer days. However, on the other hand, the money made over break can certainly start up a pretty nice savings for a teen’s bank account. If you are a teen in need of a job, or know of a teenager who will be looking for work this summer, look no further! 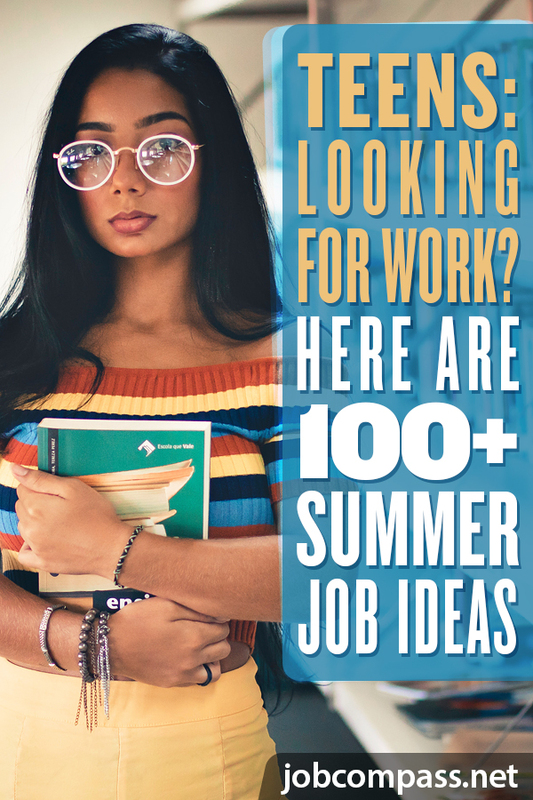 I have compiled a huge list of summer jobs, for teens. There is no better time to start looking, than now, so take a peek! When it comes to jobs for teens, there are tons of options. The following are some of the best first-time jobs, for those looking to start out at minimum wage. Many restaurants require teens to be 18 or older to wait, however until then, there are also host(ess) jobs, where you can lead folks to their seats. Or perhaps consider getting a job at a local fast food joint. You will likely get some free meals out of it, too. Score! This is a pretty simple job for high schoolers. As long as you can pass the math test, you’re good to go! You may even get to stock the few shelves of candy, chips, and other random items. When it comes to grocery store jobs, they are great, because most stores are flexible with teen’s hours. Bag groceries, push shopping carts, fill and face the shelves. It’s the perfect first job for any teen! Want a discount on your movie tickets and popcorn? Get a job at your local movie theater! If you don’t mind speaking on a real telephone, think about checking out local businesses, to see if they are in need of a receptionist. Think hair salons, and other small businesses. This one may go hand in hand with a receptionist, but there are many local businesses who may need help filing paperwork, or entering simple data into a computer. If you are dreading a summer job because you don’t want to be trapped inside all day, don’t worry. There are plenty of outdoor jobs for you to take on. You can still spend your summer on the beach, if you know CPR, and are fully focused on those around you. Check out the American Red Cross for your lifeguard certification. If you love working with kids, becoming a camp counselor may be the perfect summer job! Some places may be volunteer-based, where others may pay their refs to referee soccer games, or umpire baseball games. While this may not be the most pleasant job, it is one that many are more than willing to pay you to do. Grab a close pin for your nose, and get to scooping! From mowing lawns, to pulling weeds, planting flowers, and trimming shrubs, there are tons of lawn care, and landscaping opportunities all around you. Some zoos have summer positions available that may include janitorial duties around the zoo, or even hosting and cleaning up birthday parties. Do you have local farmers who have stands set up on the side of the road? Oftentimes they need people to man the stands, while they are off tending to their crops, and other tasks. Many food trucks you see at the local fair are run by families, however, that doesn’t mean you cannot ask if they need an extra set of hands for the week! Farmers often use high schoolers in the summer to help tend to their crops. Whether they need someone to de-tassle corn, or help harvest green beans and other crops, teenagers are often perfect for the job. If you want a job that you can do first thing in the morning, and have the rest of the day to yourself, look for a local paper route! You’ll be up early, but then you can take a nap afterward, and carry on with your day! As you know, jobs for teens don’t often pay well. However, there are some high paying jobs out there, that even teens can do. Many of these jobs will require a bit of skill. Check them out! Just how great of a dancer are you? Put your ballet skills to use, and see if your local theater has any shows coming up, that you can audition for. Local theaters oftentimes hire teens to play musical instruments in the pit, during summer shows. Can you pass as a Disney prince, or princess, with the right outfit, and hairdo? If so, consider making appearances at birthday parties! Set a reasonable price, and create a business card that parents can pass around. Okay, so you may not start earning the big bucks, but there is always potential, as a YouTuber. Think about what kiddos like to watch, or make your own Minecraft music videos. There are tons of job opportunities for teens. Many of them are pretty obvious gigs that most teens can come up with their own. However, some of them are not so obvious. Are you an amazing pianist, or cellist? Many places pay big money for an hour or two worth of fine, solo, background music. Check out local hotels with event centers, or art shows. You may not have the cleanest car, as a teen, however, if someone is paying you to clean a car, inside and out, that may be another story! Who knows, maybe it will motivate you to clean out your own car. Or maybe not. All those years of organ lessons may finally pay off! Consider asking local churches if they are in need of an organist, full time, or part-time. Even if it is just to fill in for a week. This is another gig that has great potential, for kids’ birthday parties! Grab your deck of playing cards, and a super long hanky, it’s going to be an exciting summer! Do you participate in theater, during the school year? You may be able to land some real acting gigs at your local theater, this summer! There probably is not a single teen out there who doesn’t already know their way around a chromebook, or smartphone. Kids’ lives these days seem to function around the internet, whether they are glued to YouTube videos, playing online games, or simply doing schoolwork. Why not put those computers (or smartphones) to better use, and start earning some money with them? Here are some great online jobs for high school students. So this isn’t exactly a job, but it is an easy way to earn some extra cash, during the many hours of downtime. There are tons of money making apps out there. Simply download them, and start earning away. Think InboxDollars, where you can get paid for watching videos, or iBotta, where you can earn rebates, while grocery shopping. Okay, so this one also isn’t a full time, or even part-time job. But by signing up with a survey site, there is a possibility to earn some extra money from time to time. Just be aware of the required age on some sites. Lifepoints is a great survey site that only requires you to be at least 14 years old, in order to participate. Not everyone can develop websites. But if you happen to have the right skills, you can get an early start this summer. What a great time to gain some experience, and start your own network! Know a little bit about graphic design? Why not try your hand at creating various themes for Tumblr? You must be 18 in order to have an account, but parents are able to sign the contract, if they approve. And what parent wouldn’t?! It’s a great way to put a teen’s talents to work, and earn a little money from them! Are you looking forward to summer, because you’ll have some extra video gaming time? Why not make some cash, while tending to your gaming addiction? Head on over to Twitch, and live stream your gaming. You can make money by allowing ads to play during your videos. I’m sure you have thought of at least one or two ideas for a good app, that could be of use to many. Turn those thoughts into cash, and create your own apps. Then sell them on Google Play or iTunes, to make some cash. 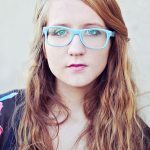 If you have a way with words, check out Upwork.com to find freelance writing gigs. The following jobs are pretty typical for teens, however, it doesn’t mean that they shouldn’t be mentioned. In case you forgot, here are some pretty easy gigs to land. Though they do come with great responsibility! Babysitting is a great summertime gig, because someone needs to stay home with the kiddos, while the parents are at work. And date nights are easier for parents, because they don’t have to worry about being home early, so that you can get to bed early, yourself. Check out the American Red Cross for babysitter basics classes. Were you a pro at getting chores done by the age of 8? If so, you’ll likely make a good house cleaner, for a busy parent. Offer to wash baseboards and windows. Dust ceiling fans, and vents. Are you a math whiz, or do you have a knack for grammar and spelling? Put your brain to work, and help tutor someone who is struggling in school. What better time of year, to teach swim lessons, than summertime? The American Red Cross has some great swimming and water safety classes to take. Do you have a neighbor that is taking their family on a week-long vacation this summer? Offer to watch and care for their pets, so they don’t have to board them. Why not offer to watch the whole house, instead of just the family pet, when your neighbors go away? This may involve watering plants, getting the mail, and turning the lights on and off. If you happen to have a local baseball stadium nearby, apply to be one of their mascots for the upcoming season! You’ll get access to all, or most of the games, and get to dance around in a goofy suit. Gather a group of friends, and create your own garage band. Pending the genre you play, you may end up being able to get gigs at restaurants, and even wedding receptions. Some parents want their kiddos to excel with musical instruments, but they don’t want to fork over big money for a professional music teacher. Offer to teach others your musical talents. Disney hires seasonal help over the summer. You don’t even have to live in Florida, as they have housing for those that are just there temporarily. However, you do have to be at least 18 years old. Here’s a quick list of some other miscellaneous jobs that teens can do.